The "Hamilton" creator tweeted Thursday that what he thought was just "the worst migraine ever" turned out to be the shingles. This March 4, 2018, file photo shows Lin-Manuel Miranda in Beverly Hills, California. 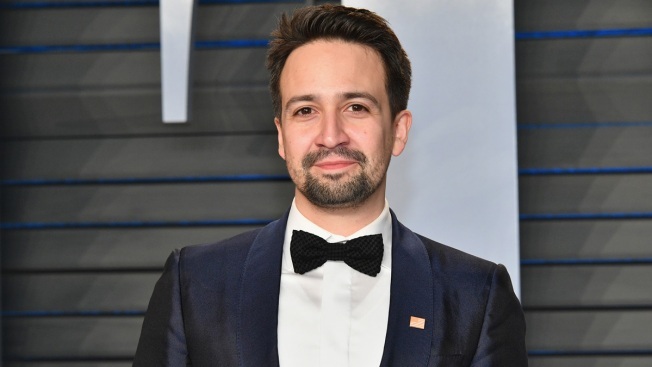 Lin-Manuel Miranda revealed Thursday that has been diagnosed with shingles, a day after tweeting that he had one of the worst migraines of his life. "This isn't a migraine, it's shingles!" Miranda tweeted. "Caught it early, quarantined away from the baby, in a Phantom mask until further notice." This isn't a migraine, it's shingles! Severe headaches are often a symptom of the viral infection that causes a painful rash, which can occur anywhere on the body. The disease is caused by the varicella-zoster virus, which also causes chickenpox and is highly contagious. On Friday, Miranda continued to joke about wearing a phantom mask with his Twitter followers giving updates on his health and comments on the articles about him in the news. I can’t post jokes anywhere NEAR my health status, cuz they’ll be printed as fact. Sorry. My eyes are fine, they were just dilated for the checkup, which is routine.